Housed in the grade II-listed White Lodge Mansion in Springfield Park, Hackney, Spark Cafe is a beautiful spot to enjoy some homecooked Mediterranean food and a reviving organic apple juice. On a fine day you can take your lunch out into the park and enjoy the panoramic views over Walthamstow Marshes. 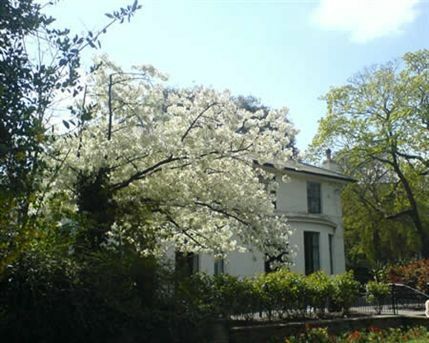 Springfield Park, created in 1905, was originally the garden to White Lodge, as well as two other houses which no longer exist. Rucksack Music Inc runs children's music sessions in the caf? on Thursdays and Fridays 10am to 11am with additional Friday sessions at 11:45am to 12:45pm, great fun for toddlers. Spark Cafe gyms, sporting activities, health & beauty and fitness. The best pubs near London Spark Cafe. Spark Cafe clubs, bars, cabaret nights, casinos and interesting nightlife. Where to have your meeting, conference, exhibition, private dining or training course near Spark Cafe. From cheap budget accommodation to luxury 5 star suites see our discounts for Spark Cafe hotels, including Grange White Hall Hotel London from 53% off.